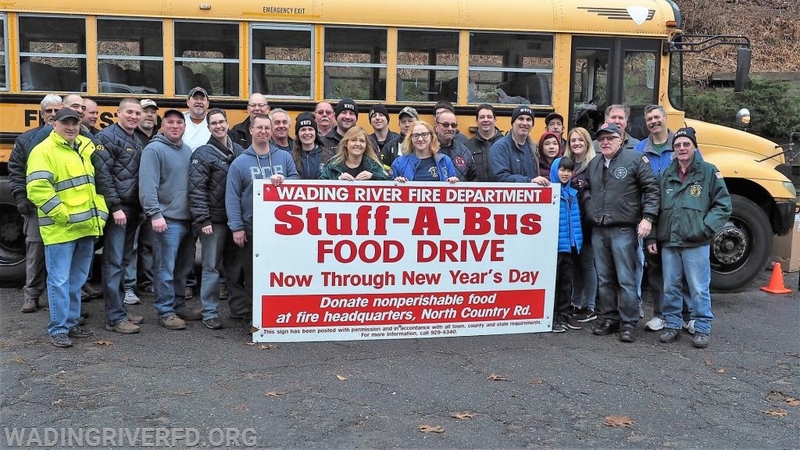 All the members of the Wading River Fire Department want to thank the entire community for the unbelievable success of this year’s “Stuff-A-Bus” food drive. 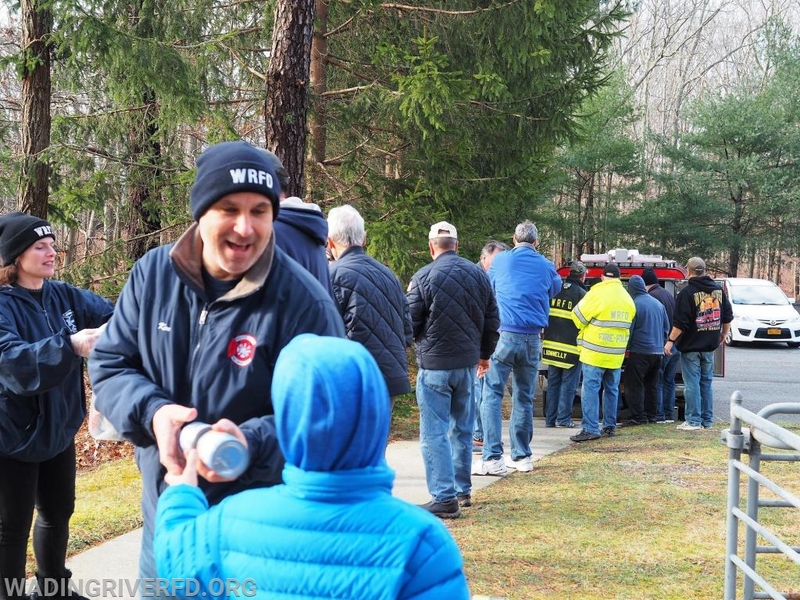 On the morning of Sunday, January 6, 2019, Fire Department delivered a completely full school bus of food to seven local church pantries. 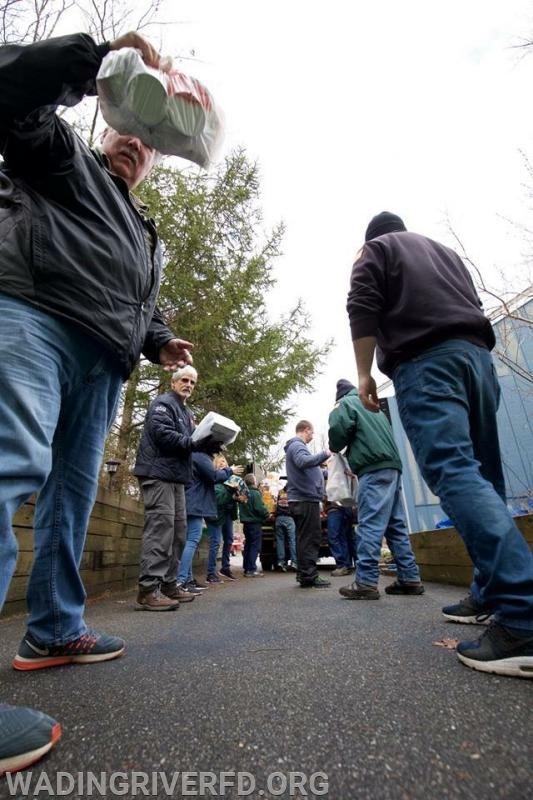 It was the conclusion of its Christmas Holiday “Stuff-A-Bus” food drive campaign. 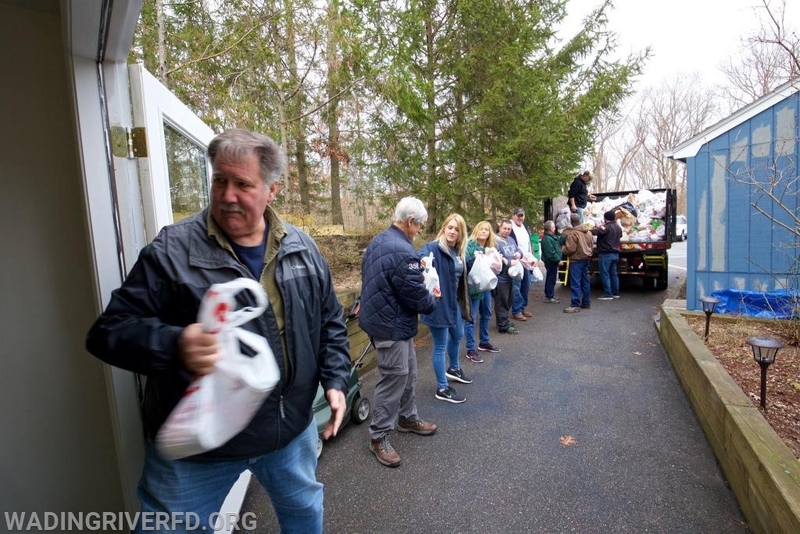 The response from the Wading River community was so overwhelming, that the pantries of each and every one of the seven churches overflowed . 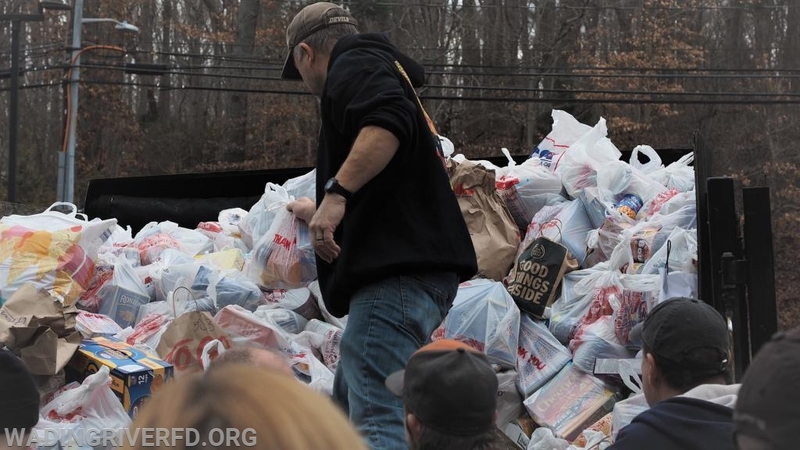 The “Stuff-A-Bus” campaign runs between Thanksgiving and New Year’s Day. 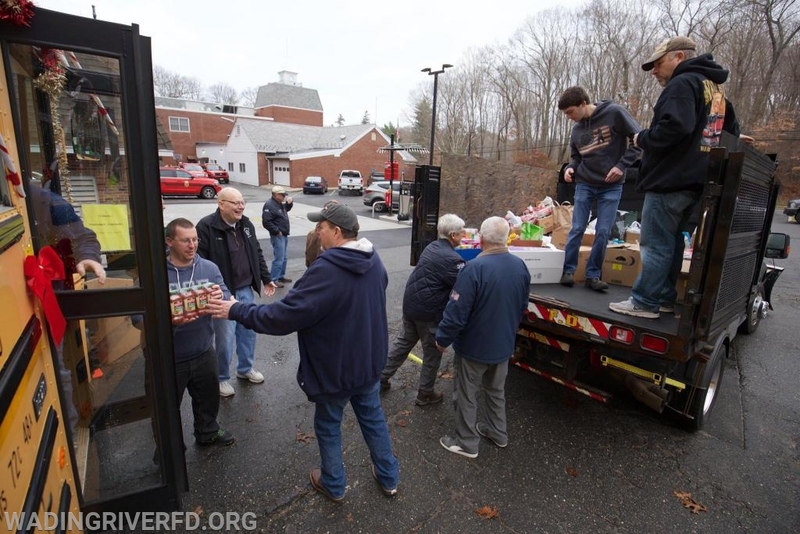 This year, more than ever, residents helped to fill the big yellow school bus by driving food directly to the bus itself, which was parked in the fire department’s parking lot and decorated with Christmas lights. The bus was generously donated, for the month, by First Student Bus Company. 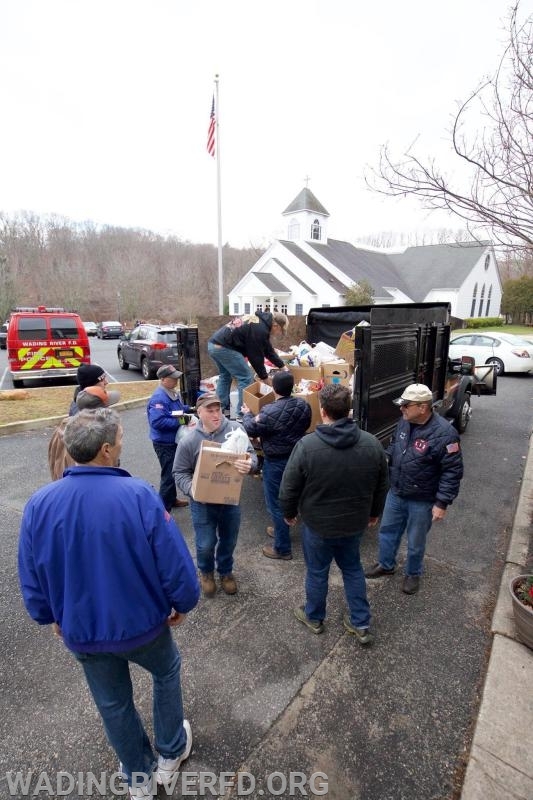 Volunteer firefighters and EMS personnel delivered numerous bags and boxes of groceries to the food pantries at St. John The Baptist Roman Catholic Church, Wading River Congregational Church, St. Anselm’s Episcopal Church, North Shore United Methodist Church, Saints Peter & Paul Roman Catholic Church, Trinity Evangelical Church in Rocky Point, and Living Waters Full Gospel Church in Riverhead. 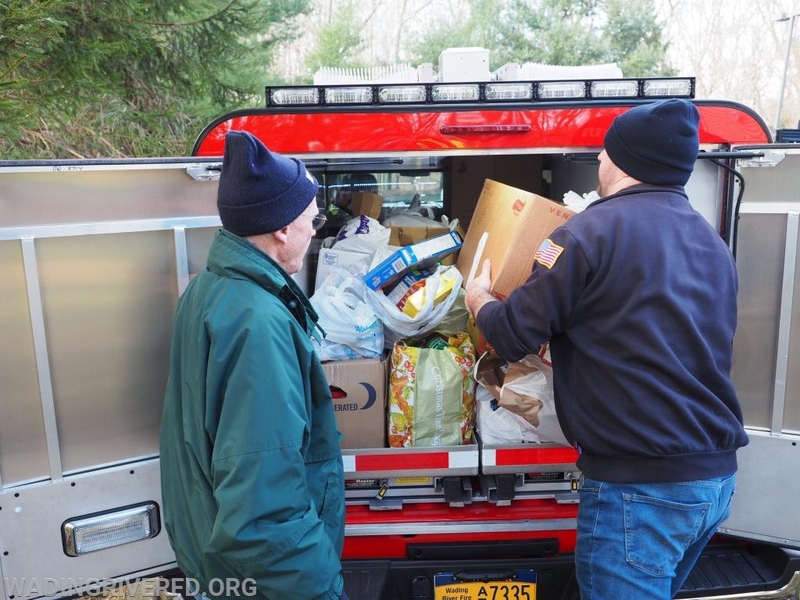 Captain Tom Whelan, ran the “Stuff-A-Bus” program this year.